A tour into the Sabah and Sarawak states of West Malaysia, or more commonly known as Borneo, is known for its lush unadulterated wonders of nature. Here you can find Borneo tour packages, tailored or otherwise, taking you up majestic Mount Kinabalu, getting close with native wildlife like Orang Utan and Turtles, diving into clear waters of Sipadan or Layang Layang in search for marvellous corals and marine life, experiencing indigenous cultures of the old and even otherworldly or seeing how urban development co-exist so close with nature. With Peterson Travel as your travel agency in Malaysia, your holidays here in Borneo just could not get any better. 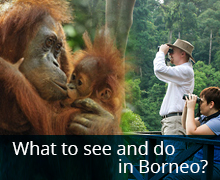 A complete tour of Borneo to see all the major attractions & highlights. 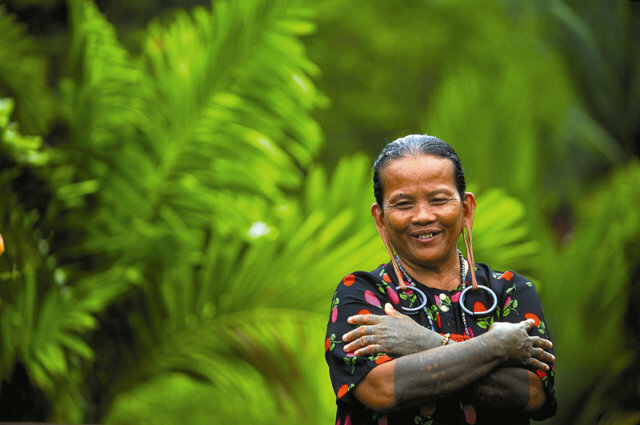 This is an extension programme from Borneo Indepth with an added feature – Danum Valley. Peak Period is July – Sep. Remember we are flexible, we can always adjust the programme to get the availability or to your requirement. We received this request from this couple who wanted to have the most adventurous honemoon possible in Sabah. After a few emails exchange, they settled for the Mountain Climbing (Via Ferrata), trekking in Danum Valley and finished the programme with a scuba diving experience in Sipadan. They had a fantasic time here. This is absolutle fitting for a couple looking for a honeymoon with a difference in Malaysia.